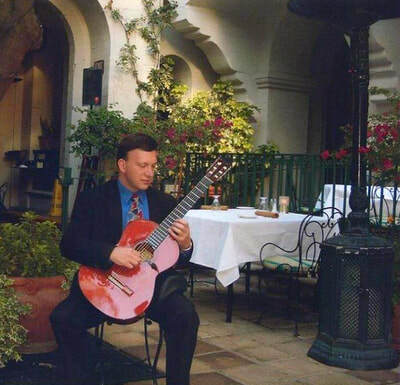 We offer Classical and soft Pop music performed live on acoustic Guitar and Harp for a wide variety of Special Events throughout Southern California. One of our most popular requests are for Spanish love songs for weddings. ​Each musician can tailor a set of music that is perfect for your Event, whether it's background music at a Corporate party or Network Meet-up, or a Wedding Ceremony and Reception cocktail hour. Add a touch of class to your Event with the beautiful sounds of traditional Spanish guitar songs or Classical Harp music. Click the small triangle icon (play) on an video or audio player to hear each demo. ​Depending on your internet connection speed, you might not hear the music immediately so please allow a few seconds for the file to load. Thank you. 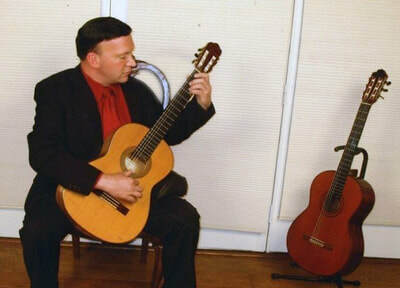 You'll be awestruck at how rich and romantic Wedding Ceremony music sounds when played by a master on Classical guitar. It's both delicate and passionate, contemplative and joyous. 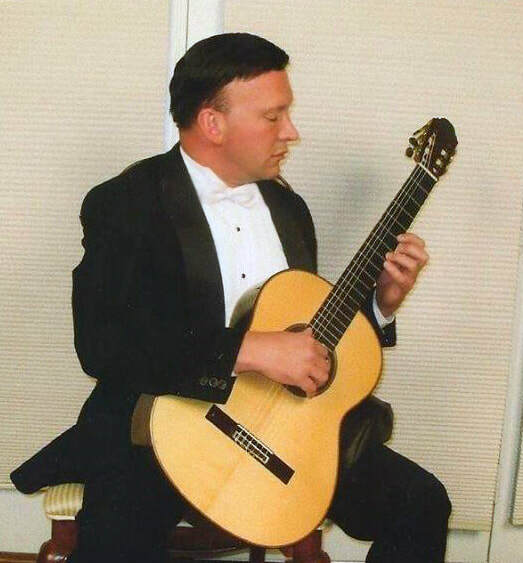 Our featured guitarist can also provide acoustic music for cocktail hours with a set of Classical Spanish guitar songs and other Latin pop hits. To hear his other music demo, scroll down this page. ​For a small additional charge, the artist would be happy to learn a new song that you request. Thank you so much Michelle for the wonderful Classical guitarist for our wedding ceremony and cocktail hour. 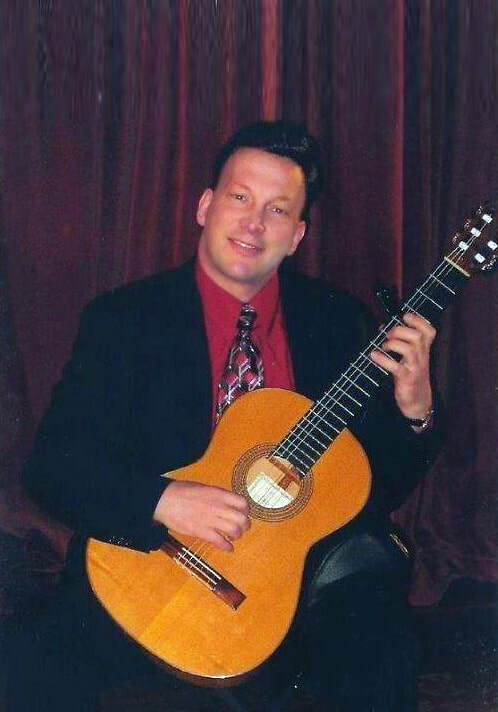 We would have never thought of hiring a solo guitarist since everyone usually goes with a violinist and/or pianist. Thank you for suggesting him. Everyone commented endlessly on how warm and romantic it sounded. And the fact that he could play popular songs on guitar for our cocktail hour was very classy and fun." 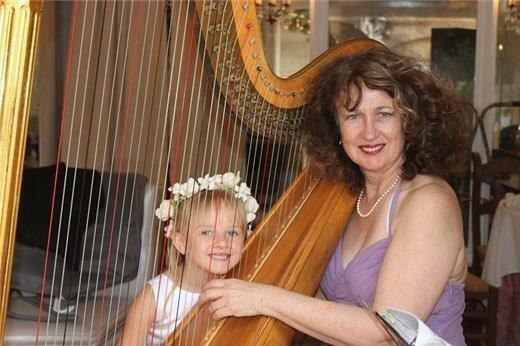 Our featured Harpist can play all of the most popular wedding ceremony music with grace and style. She never ceases to impress at Wedding Ceremonies. 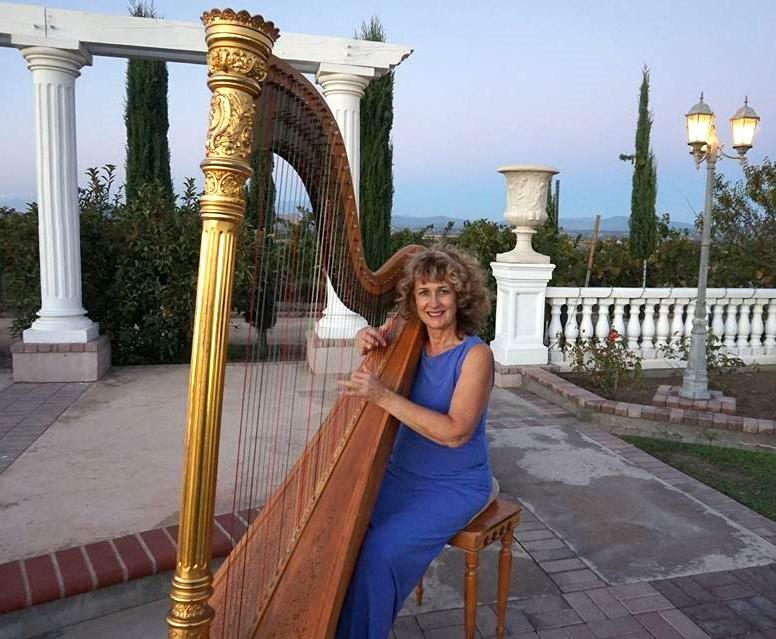 And double the heavenly sounds by having our featured harpist sing popular wedding music, such as her Ave Maria example below. *You may request other processional, ceremony or recessional songs. For a small additional fee, the artist would be happy to learn a new song made by special request. 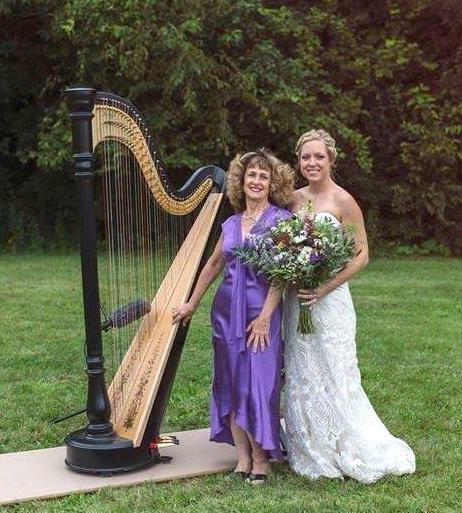 "I always wanted a harpist to play at my wedding and Reality Entertainment sent me a wonderful woman who was very nice to work with. Her ceremony performance was flawless and made me cry at a few points because it sounded so heavenly. My guests and husband's parents loved how the harpist ALSO played jazz songs and other well-known tunes on harp for the cocktail hour. Perfect music for my wedding. Thank you again Michelle!" 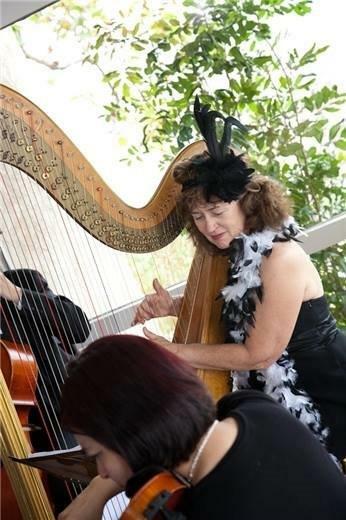 Who said you can't play jazz on a classical harp? This delightful harpist makes it happen with smoothness and originality. From Ellington, Gershwin, and Cole Porter to a swingin' bossa nova, you and your guests will get a mellow, bubbly vibe from her performance. From well-loved Classical music to Pop songs of today and yesteryear, he plays with finesse and flair. This music style is perfect for Meet-ups, Valentine's Day events, Fashion store Openings, and the list goes on! Make any special requests for duets or trios on our "Request a Quote" page. For more musical entertainment options for your Special Event, including DJs and Karaoke services, please visit our Musicians pages where you'll find professional Jazz combos, Rock bands, Mariachis, Steel Drummers, and a lot more! Our musicians can also provide the perfect, mellow background music for many other occasions, including Holiday events, festivals, Grand Openings, private parties, and B2B trade show events.